Sri-Thai hosts many authentic Thai style dishes, which lure you to the very threshold of Thailand when tasting any dish or appetizer ordered. 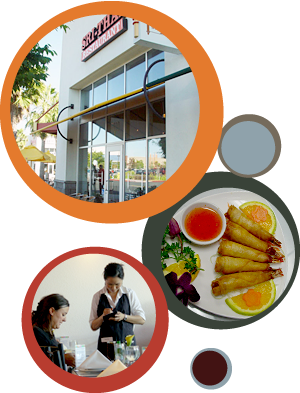 Our experience and formal training will insure that only the best quality dishes are served with as much Thai authenticity as desired. Review the Lunch and Dinner menu and you will want to try our delicious Thai style cooking. We look forward to seeing you and believe that your experience at Sri-Thai will be one you will want to experience again and again. Copyright © 2004-2018 Sri-Thai Restaurant. All right reserved.